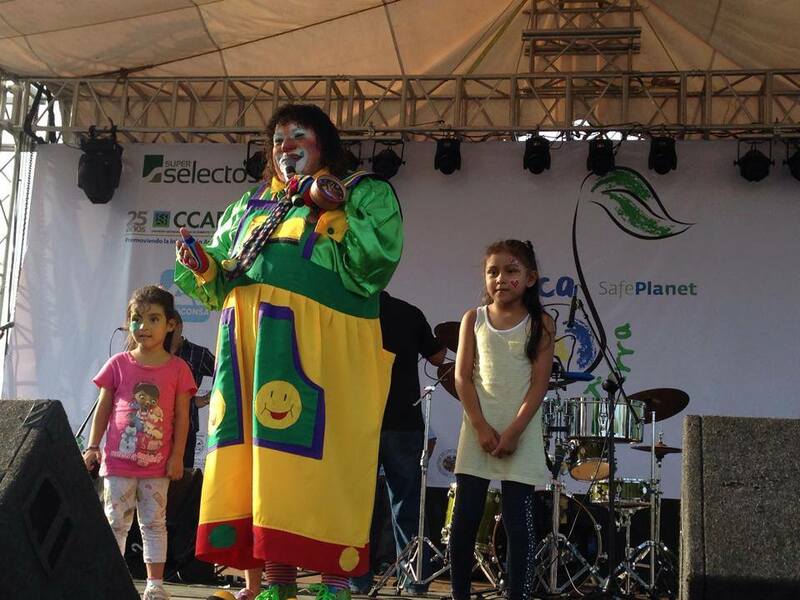 The 1st concert "Music for the Earth / SafePlanet," took place on June 29, 2014, at Selectos Supermarket in the city of Soyapango, Department of San Salvador, El Salvador, very successfully despite competing with the World Cup match. 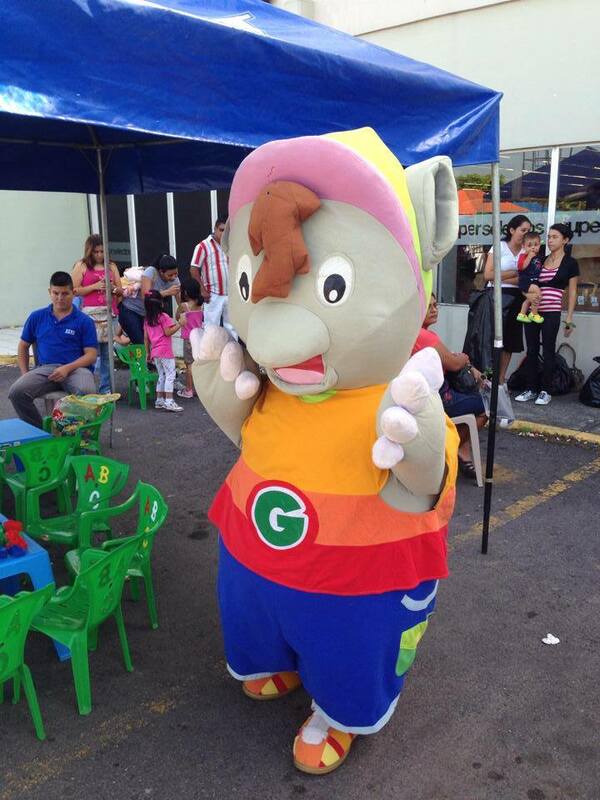 The event included dance performances, singing, entertainment and contests. 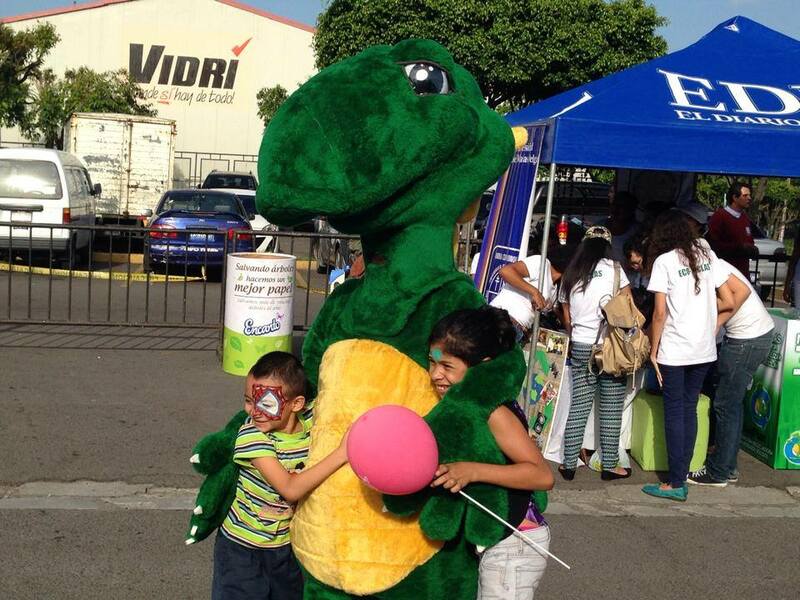 Nearly 300 people enjoyed a happy family afternoon, while collaborating with the rescue of our planet, bringing materials such as paper, plastic, and electrical and electronic equipment for recycling in an environmentally sound and safe manner. 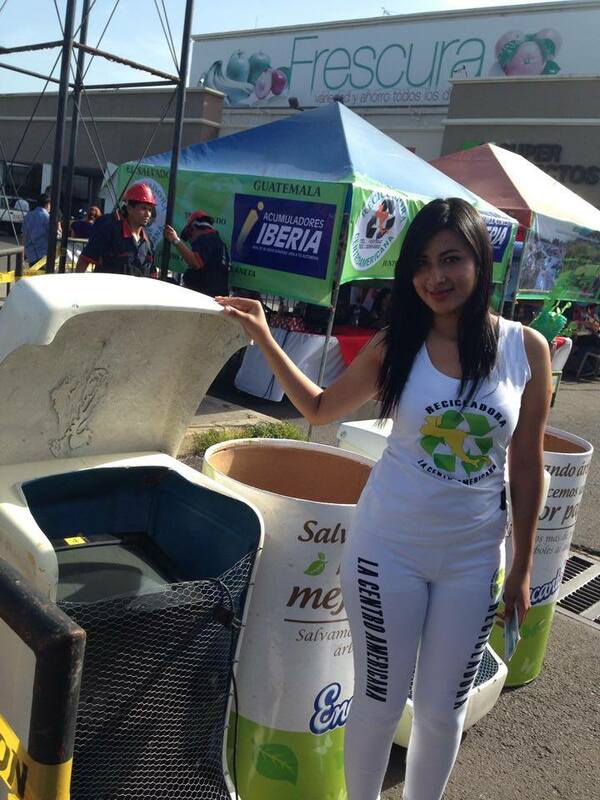 The innovative aspect of this event was that in addition to the attractive combination of recreational activities, the concert ticket was paid for with electronic waste, paper or used vehicle batteries, giving an opportunity to the public to perform a specific action that contributes to the rescue of our planet. 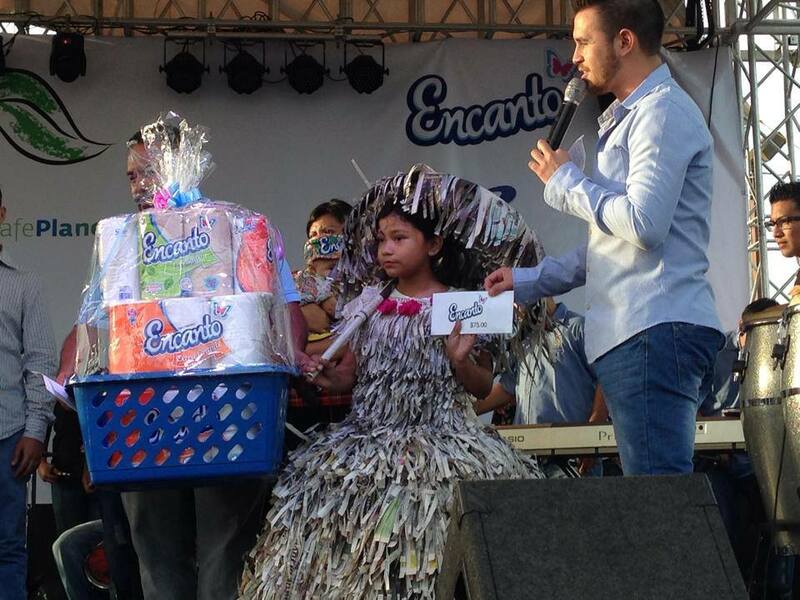 "Music for the Earth / Safe Planet" was a festival that included a costume contest made ​​from recyclable materials, with the active participation of the community. 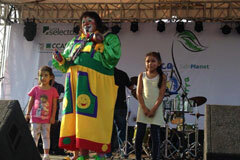 The attendants enjoyed different shows such as Belly Dancing (Group Rashad), Chimbombín clown, rock music with Crixus , folk music led by Miguel Araujo and salsa music with Salzón group. 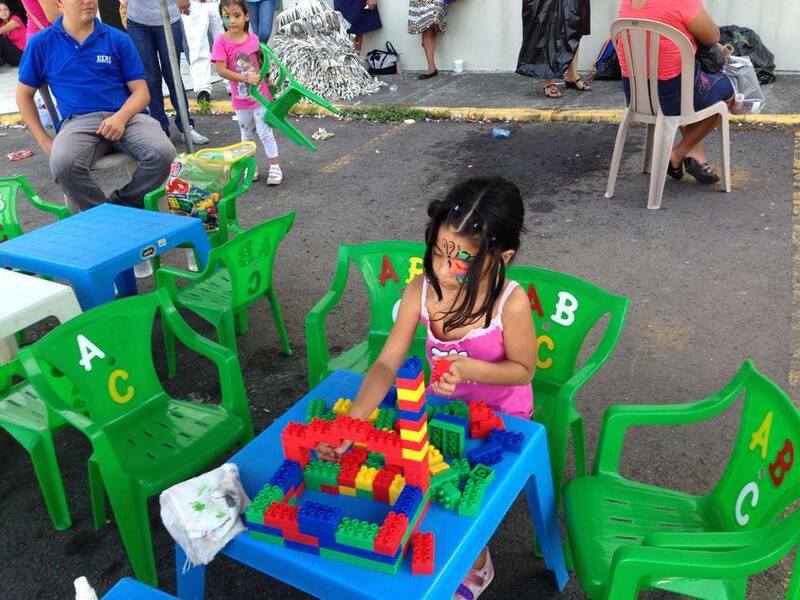 The magazine Guanaquín from the local newspaper, El Diario de Hoy, contributed with face painting while José Matías Delgado University gave a recyclable materials crafting class. 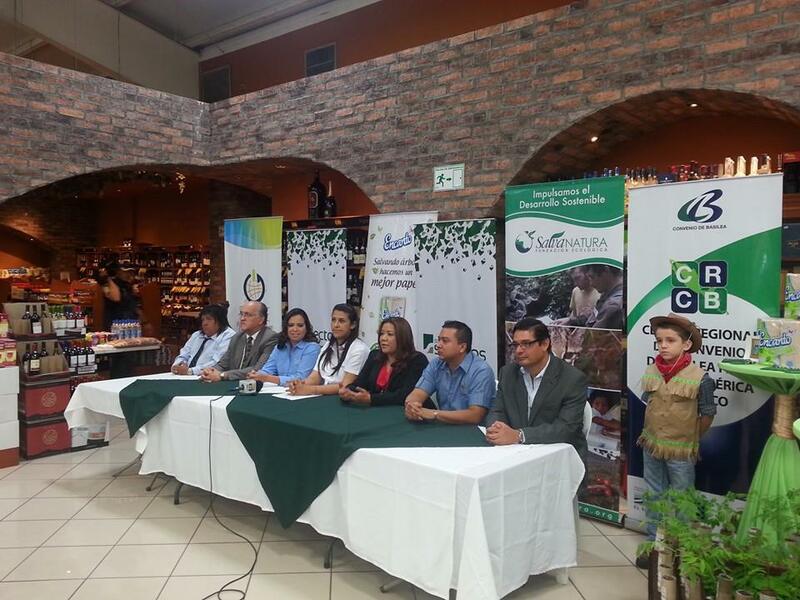 All entertainers and suppliers donated their contributions and participations for the sake of raising awareness within the Soyapango Community of the need to protect our planet. 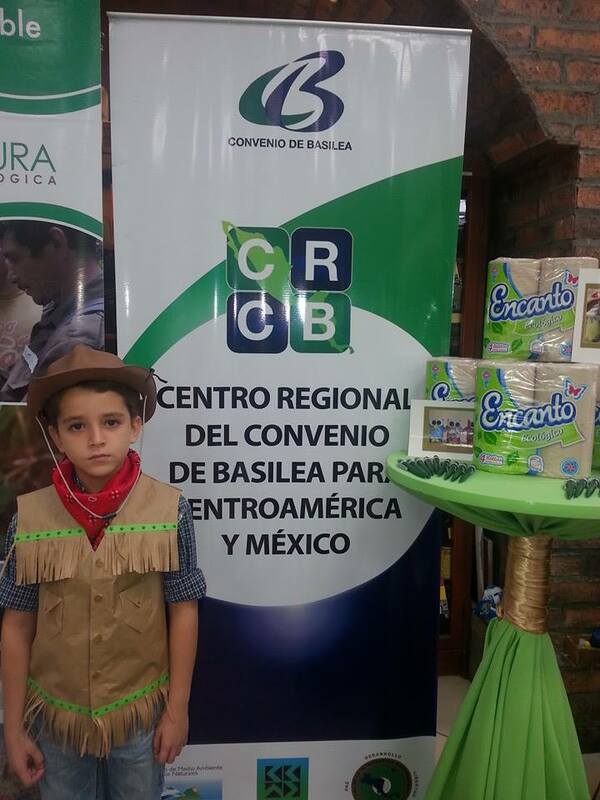 This event was organized by a public-private partnership formed by Super Selectos, Encanto, Autoconsa, the Basel Convention Regional Center of the Basel Convention for Central America and Mexico (BCRC-CAM), the NGO SalvaNATURA, Recicladora Centroamericana, Acumuladores Iberia, the Central American Commission for the Environment and Development / Central American Integration System (CCAD / SICA), Safe Planet: the United Nations Campaign for Responsibility on Hazardous Chemicals and Wastes (Safe Planet), Soyapango City Hall, the Salvadoran Ministry of Environment and Natural Resources (MARN), the Organization of American States (OAS), and the Energy and Climate Partnership and the State Department of the United States through its Energy & Climate Partnership for the Americas (ECPA). 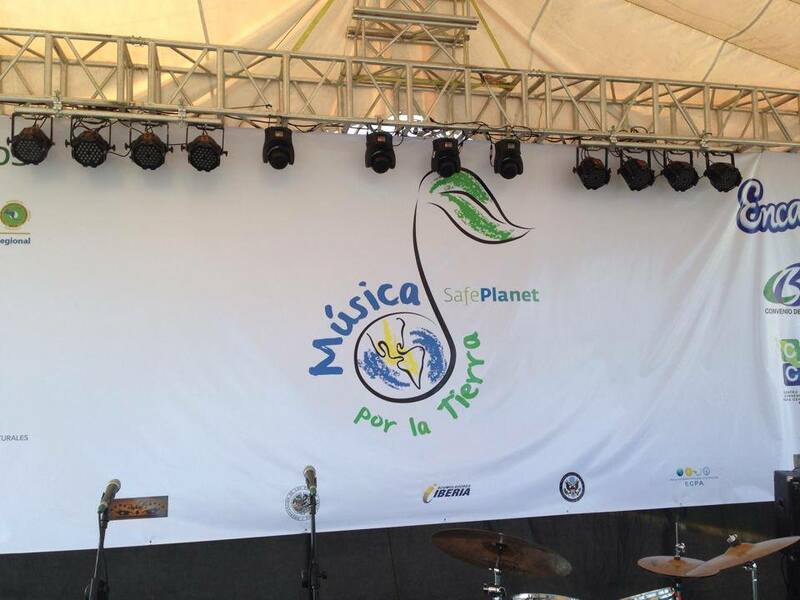 The success of "Music for the Earth / SafePlanet" has led organizers to consider making new editions in El Salvador in the coming months and bring this form of educational entertainment – or ‘edutainment’ – and rescue actions of our planet to other Central American countries like Guatemala, Honduras and Nicaragua. Moreover, the powerful concept of this innovative entertainment / education / action, its link with the United Nations Safe Planet Campaign and the viral circulation of information on the Safe Planet Facebook community page could facilitate taking "Music for the Earth / SafePlanet" to other regions of the world. BCRC-CAM receives financial support from the government of El Salvador for its core operations and facilitates cooperation at national, regional and international levels to promote training programs and technology transfer for the environmentally sound management of materials, substances and wastes in Central America and Mexico by working closely with governments, the private sector, NGOs and academia. BCRC-CAM is located in the Executive Secretariat of the CCAD, within the General Secretariat SICA. See BCRC-CAM´s sites on the web: www.sica.int/crcbcam, www.facebook.com/CRCBCAM, www.twitter.com/crcbcam, www.youtube.com/crcbcam, www.blogspot.com/crcbcam.